In 2015 our government will only spend Rs.12,150 to educate the average primary or secondary school student for the entire year. This is because Sri Lanka’s education budget for 2015, which pays for all teachers’ salaries, school infrastructure, and any other money spent by the Ministry of Education, will only be 364 million dollars. For some context, Sri Lankan Airlines lost 157 million US dollars in 2012 and building the Mattala airport cost 209 million US dollars. Sri Lanka plans on spending over two billion US dollars on defence. 1.74 billion of this sum, 12 percent of the country’s total expenditure, will be spent on the Army, Navy and Air Force alone. Much of the remainder will be spent on the coast guard, civil security, registration of persons etc. Contrary to popular perceptions only 200 million US dollars, or 9 percent of the defence budget, has been allocated for development activities. We will only spend 74 million US dollars on our foreign ministry in 2015. Sri Lanka has 51 diplomatic missions abroad, so that’s less than 1.5 million US dollars per mission per year – not to mention the cost of the foreign ministry’s vital Colombo operations. Despite Sri Lanka’s precarious international relations – with increasingly strained relations with the West, the OIC, other states in the Global South and possibly even India – the foreign ministry’s budget increased by only 0.5 percent. By contrast, the government budget as a whole increased by 18 percent. 40% of the 14 billion US dollar budget is controlled by the President, who is the Minister of Law & Order; Highways, Ports and Shipping; Defence & Urban Development and last but not least Finance & Planning. Just for good measure, Basil Rajapaksa controls another 6%. Therefore, the average expenditure controlled by the remaining 65 members of Cabinet is a mere 115 million US dollars per year. Unlike all other ministries no breakdown of the Highways, Ports & Shipping ministry expenditure was provided in the Appropriation Bill. This ministry accounts for 11% of all government expenditure. On the other hand a basic breakdown was provided for the tiny Ministry of National Languages & Social Integration which accounts for only 0.04% of the budget. The last education census, conducted in 2008, counted 3,929,234 students in Sri Lanka. Sri Lanka’s education budget was USD 364,332,304. This means expenditure per student was USD 92 per annum. Niranjan, Facts don’t convey anything to those who can’t Calculate! The first step in challenging this CORRUPT budget that is an insult to the people of Sri Lanka is to get rid of the SPINELESS and SHAMELESS Ranil Wickramasinghe who is NO leader of the opposition. Shameless and spineless UNP dictator Ranil Wickramsinghe is useless and Jarapssa has got away with so much due to Ranil’s duplicity as leader of Opposition. This must stop NOW. Then the joint opposition led by Karu Jayasuriya and Anura Kumara of the JVP and the TNA must unite, protest and prevent Mahinda Jarapassa presenting such as CORRUPT budget which is an insult to the people of Sri Lanka in the Parliament. This must be done by MASS PROTESTS and CIVIL DISOBEDIENCE inside and outside the parliament. The people must be EDUCATED about the CORRUPTION. In India the BJP stalled the parliament for 6 months with protests and the people understood how corrupt the Congress regime was. Now BJP is in power. 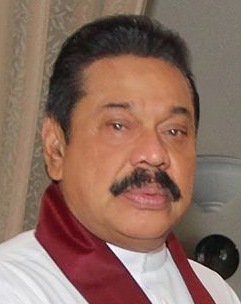 The joint opposition should follow the Modi Strategy to educate people through stalling passage of Bills in Parliament and virtually shutting it down..
Boycotting MR’s jaffna visit, the Chief Minister Dr Wigneshwaran wrote: ” the people did not elect us to lend their support, however tacit it may be, to election gimmicks”. Ranil Wickramasinghe needs to do Satyagraha in Parliament – as Leader of the Opposition – in order to OPPOSE this dastardly budget. If necessary Ranil should let himself be arrested by Govt thugs and goons in Parliament – to OPPOSE the 2015 budget bill AND educate Sinhala Modayas. S.Modaya sounds & write very similar as Pseudo intellectual Tamil modaya Antany Peter from Wellington New Zealand who endlessly keep ranting that he is going do this or do that every forum he can put his two cents worth. We got name for this kind of layabout who are living on New Zealand tax payer “Gonna do Grub’s”. Ranil Wickremasinghe as opposition leader manifests the same mindset as a cuckolded husband who is aware of what is happening but is perfectly content to preserve the status quo. He likes to follow the path of the least resistance, as any other course of action would require him to get off his comfortable hammock to rock the boat a little. Naturally, this would involve too much exertion and risk for which he seems to have a great distaste. There is no doubt that Ranil’s name would go down as the worst opposition leader in world political history. Paltry spending on primary education and languages is a sad reflection of the government’s priorities. The budget is one suited to a military dictatorship run as a family business, not a peaceful, democratic nation. What is the IMPOTENT clown Ranil Wickramsinghee who is paid by Jarapassa to turn a blind eye doing? The fact is that if there was a proper leader of the opposition in the parliament of morons, Mahinda Jarapassa would not have DARED present such a budget, let alone ahead of time. THe joint opposition with JVP and JHU and TNA and Karu Jayasuriya in the Opposition must take the upper hand and hold a non-violent SATYAGRAHA (CIVIL DISOBEDIENCE) in the well of the house and PREVENT premature presentation of the Budget or shut down the parliament rather than let Jarapassa get away with advancing the budget for an illegal Presidential election. The Facade of Democracy under the Mahinda Jarapassa military dictatorship must be EXPOSED as the CORRUPT and CRIMINAL circus that it is – to the Sinhala Modayas..
That is how dynasties and Family Hegemony works. If you do not likje it change that. Write a Common sense pamphlet and distribute countrywide, just lie Thomas Paine did for the american Revolution in 1776. Say, Because I have Common Sense, I will not vote for Mr. Rajapaksa and their criminal cronies for a continuation of a Family Dynasty, and say that Sri Lanka is a Republic. Can you be the Anonymous Author and Produce a Sri Lankan version of Common Sense in Sinhala, Tamil and English? You will do as much service to Lanka, the Land of Native Veddah Aethho, just like Thomas Paine did for America and France.You can expand this write up, and get there. Produce a Commons sense Pamphlet for Sri Lanka and say why it is in the best interest of the people of Sri Lanka to remove the King, aka Rajapaksa Dynasty from power and let the Republic be a Republic and Not a dynasty. This Pamphlet, in Sinhala, Tamil and English, need to be sent to each and every Sri Lankan Citizen, just like Thomas Paine’s Common Sense pamphlet. Why spend on education anyway. Sri Lankans despite all these years of universal eduction remains a country of Moda Meeharakas. Why bother. Very true.. At least as facts, I know that 50% of late 1970s and 80s Pera & Katubedda Engineering graduates live in Australia. Even now, I was told that 60~70% of engineering graduates leave the country within 3 years after their graduation.. money on education wasted ???….. Many thanks Mr. Rambukwella for informing us about the BLOATED MILITARY BUDGET and the fact that only 8 percent of it is for “development”. Gota the Paranoid Psychopath is getting ready for a military coup in the event that Mahinda Rajapaksa is defeated at the polls and the Jarapassa family is held accountable for its crimes. Gota knows that he will have to go to the Hague to face a war crimes trial and hence the military is being built up and bribed to do the dictators bidding. Hope the SInhala Modayas and the joint opposition wakes up and gets rid of the corrupt and evil Mahinda Jarapassa family soon! All opposition parties should join together to prevent the Budget debate and bill being being passed before its usual November date. The joint opposition with JVP and TNA leading should NOT let Jarapassa present the budget earlier because a premature Presidential Election with Mahinda Jarapassa contesting in 2015 is illegal and invalid as the Executive Presidency needs to be abolished and the 18th amendment was illegal. Opposition must take the upper hand and hold a non-violent SATYAGRAHA (CIVIL DISOBEDIENCE) in the well of the house and PREVENT premature presentation of the Budget or shut down the parliament rather than let Jarapassa get away with advancing the budget for an illegal Presidential election. The Facade of Democracy under the Mahinda Jarapassa military dictatorship must be EXPOSED as the CORRUPT and CRIMINAL circus that it is – to the Sinhala Modayas..
Makes sense. The vision is to produce a nation of dummies. The mission is being accomplished in meaningful and well planned steps. We are almost there now and will within ten years, when the 50+ year olds die out, BE THERE. Mission accomplished. WE will become a nation with much muscle -brawn (given the defence expenditure) and no brains (given the trends in education related expediture and policies). We will also be corrupt and man will be eating man in all aspects of our lives. Bravo Mahinda, you or a member of your family will be like the deaf men who get to lead a nation of the blind! Mother Lanka, each fragment of my ashes, where ever they are scatterd and then spread, will shed tears for you! It is unfair to list our beloved Presidents personal expenses as part of the ministry budgets he controls. So deduct the $10 billion annual maintenance cost for the first family and the extended family including capital acquisitions such as the former Australian High Commission building at Cambridge Place Colombo 7 for Namal baby. Good analysis. Despite Sri Lanka having a literacy rate of 80% the average voter cannot understand all this statics. A free lunch and a bottle of arrack at the expense of the tax payer will bring this corrupt gov back into power. MR has nothing more to say other than for 3 lies he has already started concocting. 2. Ranil W is working for NGOs to bring the country into disrepute. 3. TNA is asking for a separate state. Any demands for a separate is against the law and is a punishable offence. So ask MR to go ahead and arrest the TNA politicians. I am a bit baffled with the figure $14 billion. Generally, the budget is about the total economy? The Sri Lanka economy is valued at $65 Billion( nominal -Rs.8450 Billion) $170(PPP- Rs.22,100 Billion). Ideally, Minister of Finance has to give the full account/figures representing $170 as the difference between the two is the direct and indirect taxes component which goes nowhere else than in to the coffer (FMtry). On top of that FM has to tell the parliament (public) that plans in place to achieve to meet the economic growth forecast. i.e. 7% etc. Instead of doing that, telling of reduction in parippu, haal, lunu…prices etcs, as usually done by FM in SL, are merely statements that are not different than officially telling the people of SL are that ‘you are bloody idiots’. And, you don’t need to know about these things that way to keep them out from knowing what MR is actually doing. The Jarapassa Looters clan Do not want to spend Peoples money for education. they may get problems with educated people. So they will not allocate money to educate srilankans. What happened to the much trumpeted Peace Dividend? Our Defence budget has not made the massive reduction promised. The innocent victim in all this is the education of our children. It is no good blaming the opposition for the Rajapakse regime getting away with, what tantamounts to gross corruption. We, the electorate has the power to vote them out. We should do exactly that at the next opportunity. What a factual revelation that is frightening!.Civilisations fall because of anarchism and or human parasites fully depending on the rest of the fellow human who are non parasites. In the name of protecting the sovereignty and to solve the unemployment problem in a short term, the manpower in the three armed forces and police have been increased and going to increase. These personnel are going to be loyal to the power and their votes become a block vote. How about the increase in the political appointments and the pay or allowances involved? Where do all these politicians get their money, either from tax payers or from their businesses due to political patronage. How about priests or clergy men representing their respective religions ?. They too depend on the society for their survival. In return they are supposed to preach and guide their own communities with right values and peaceful co – existence. Currently all the above three categories are taking the country and the SL on a ride. So how they are going to run the country without leasing parts of the country or pawing coastal facilities to powerful nations. Further more protecting ones sovereignty based on international norms is one side of the coin. The other side of the coin is when that sovereignty forces a gradual short and long term threat to neighbouring countries. It looks like India will be very much worried about this budget by GOSL. now that he has relieved all Presidential Consultants??? Horapakse budget; One dollar for the country and five dollars for me………….and he will repeat this until the country is completely drained out. 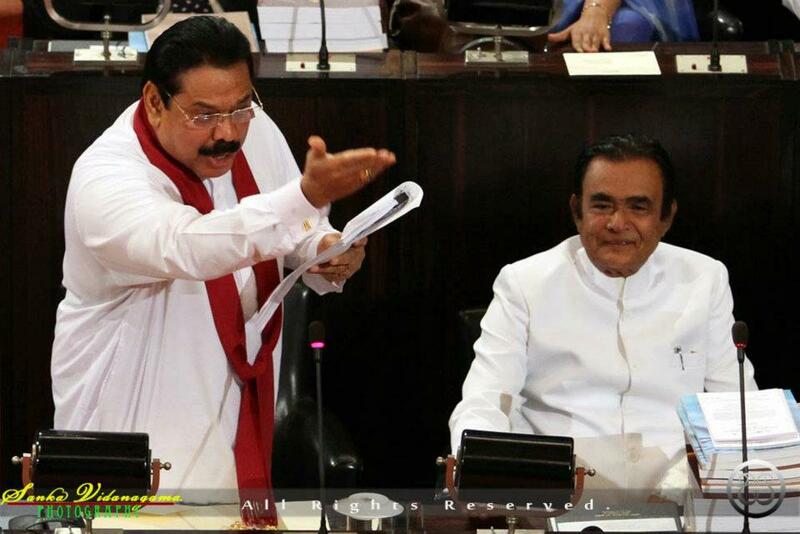 First of all I wonder why the Bone licking 65 Cabinet Ministers still keep silent when they only get 35% or US $ 115 milion for each ministry for the whole year, while Rajapakse family (Three brothers) are getting 65% of the budget allocations……..How come…..
How come with only six ministries under them, Rajapakses are in charge of 65% of the budget, while the rest of the 65 Ministries are allocated only 35% of the Budget. Simply the math does not add up….and it’s hilarious. On top of this Pres.Rajapakse’s daily wage alone is 25.3 Million rupees. (253 Lakhs). I wonder even if Pres. Barak Obama gets this much of a Salary. This clearly shows that this is not a budget for the country, but a budget for Maha Raja to Loot the country. First of all People have to chase out this invalid Cabinet cabal whose only purpose is to chew and lick what ever bones given to them by the Maha Raja while them keeping silent. Second, it is due to the invalid of opposition parties whose shoutings are only limited to Parliament, that Maha Raja has taken advantage of their impotency. Their silence have given ammunitions to MR to do whatever he wants in the country and with it’s budget. Why don’t they all rise up and rally all Trade unions behind and start protests, “Harthal” and “Sathya Grahas” against this corrupt Budget. People are ready to join if they organize. How come MARA allocate US Dollars Billion or 18% of the budget to defense during a peace time, while allocate only 1.9% of GDP to Education. Even a poor nation such as Ethiopia allocates 6% of their GDP for Education.No wonder university students are protesting almost every day than studying. Thank you Niranjan Rambukwella for the info, and only we CT readers could do is to educate other Citizens and the world VIA emails etc,on this crazy budget so they know how the corrupt Rajapakse family ruin our country. I wonder how much money from budget been allocated to enhance and incentives given to increase our exports and Trade development. Also how much incentives given to start up businesses, self employment, to develop new products and for special skills, for innovation, research and to development etc,etc. I don’t think this “Crocodile” considers these skills and development, but will give incentives only to develop casinos and to make and sell “Kasippu”, and also how to be a undercover informer or a spy. Finally I could say by the above information that this is just another third Grade Joker’s Alibaba budget. @Lasantha, look at the ministers in the government. If it was not for Jarapakse, these hoodlums will be cleaning somebody’s toilet in the middle east. So, do you really think they will question their master. This should reach websites not banned by the govt. This should be translated into Sinhala and Tamil. The most important fact about Mahinthas Budget which only an intelligent electorate will understand ( sadly the majority of the 20 million are driven by hate and not intelligent) is that arms procurement is a highly lucrative business paying the highest dividends. This is where the failed businessman Gotha earned his money from to build the White House in the heart of the city. It is also an industry which is sellable to poor masses to convince them that high spending in that area is not only needed but also justified.